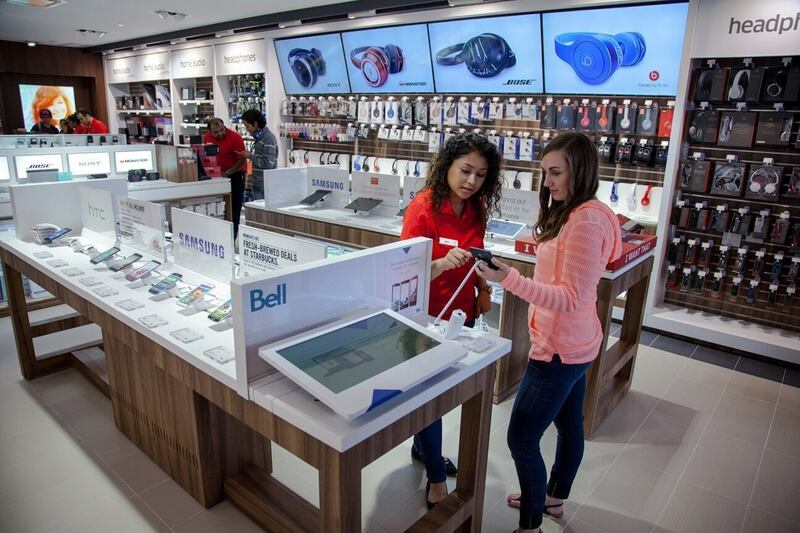 Retailers across Canada are constantly changing how they communicate to consumers, this week The Source unveiled its new experiential-format store, located at Toronto’s Yorkdale Mall. The fresh new store design gives customers a hands-on, tech-centric shopping experience that will become the prototype for future locations as The Source continues to grow and transform its messaging. The new format, designed by Toronto-based retail design agency Shikatani Lacroix, marks the latest milestone in The Source’s brand reinvention strategy. The new store design features warm wood tones and neutral white transaction surfaces providing a contrasting backdrop that makes the product the hero and encourages customer interaction. With research showing that today’s customers are seeking an engaging, tactile in-store experience, products have been grouped into categories and displayed in a manner that makes shopping easier and allows for interactive demos. An example is the new headphone wall displaying top brands that shoppers can test and compare head-to-head before they buy. The revamped experience extends to the storefront as well. 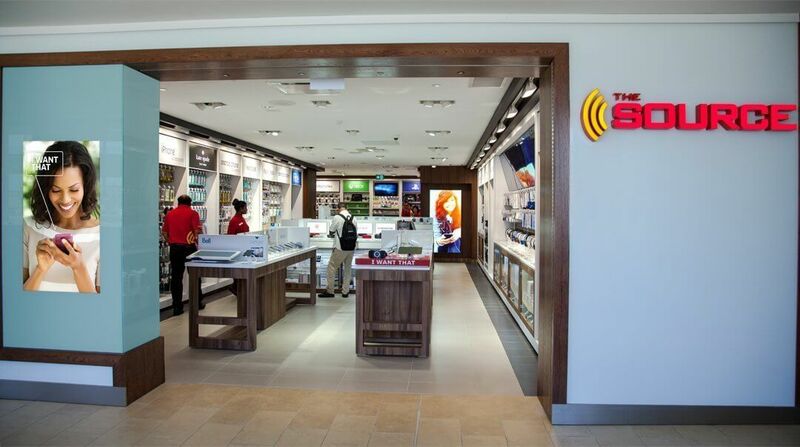 A front window digital display features dynamic content that draws customers in and helps educate them on the leading national brands available. Upon entering the store, a table display highlights The Source’s tagline of “I Want That”, showcasing a spectrum of the hottest new products.